LOS ANGELES COUNTY – On a motion by Supervisor Michael D. Antonovich, the Board of Supervisors on Tuesday extended the monetary rewards for information leading to the arrest or conviction of those responsible for two local homicides. 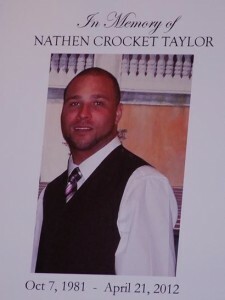 A $20,000 reward is being offered in connection with the shooting death of former Army Sergeant Nathen Taylor. Taylor grew up in Lancaster, graduated from Antelope Valley High School, and served in the United States Army, completing three tours of duty in Iraq and Afghanistan. At the time of his death, he was 30 years old and enrolled as a student at Antelope Valley College. During the early morning hours of April 21, 2012, Taylor was shot while seated in his car in front of his brother’s house on the 700 block of West Avenue H-7 in Lancaster. Upon their arrival, Sheriff’s personnel discovered that Taylor had sustained several gunshot wounds to his upper torso. Taylor was transported to Antelope Valley Hospital where he was pronounced dead. The Sheriff’s Homicide Bureau is seeking assistance from the public with information that may aid in their investigation of this crime. Anyone with information is urged to contact Detective Mitch Robinson or Sergeant Richard Garcia at the Los Angeles County Sheriff’s Department Homicide Bureau at 323-890-5500. A $10,000 reward is being offered in connection with the fatal shooting of 28-year-old Daniel Dotson. On November 24, 2010, at approximately 11 p.m., Dotson was a victim of a fatal shooting in the 38500 block of 5th Street East in Palmdale. The incident occurred in the rear parking area of Dotson’s residence. Investigators believe Dotson may have discovered someone going through the contents of his vehicle. The Sheriff’s Homicide Bureau is seeking assistance from the public to solve this crime. Anyone with information on the murder of Daniel Dotson is urged to contact Detective Karen L. Shonka at 323-890-5621. 1 comment for "Rewards renewed for two local murders"
I knew Daniel, he was a good man devoted to his children, family, and even friends. I hope both of those killers are quickly off of these streets. Thank you for not letting these cases go unnoticed.